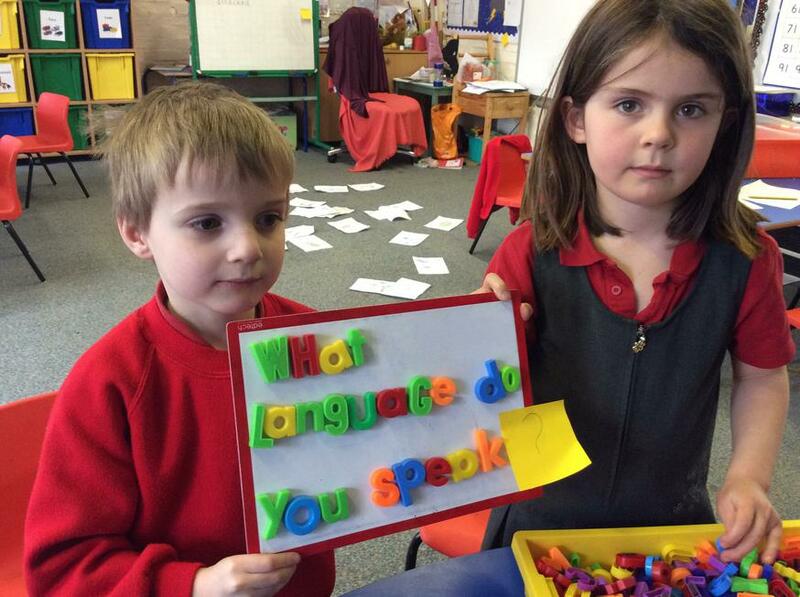 On Monday morning, we arrived at school to discover a selection of strange clues around the classroom. 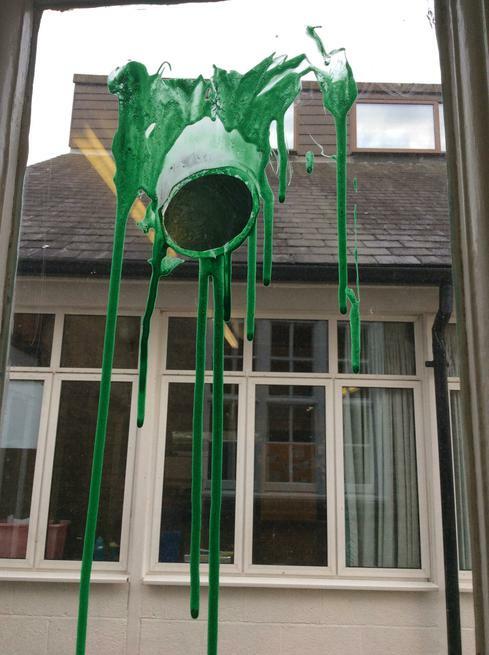 The children quickly helped us realise that we must have been invaded by aliens! 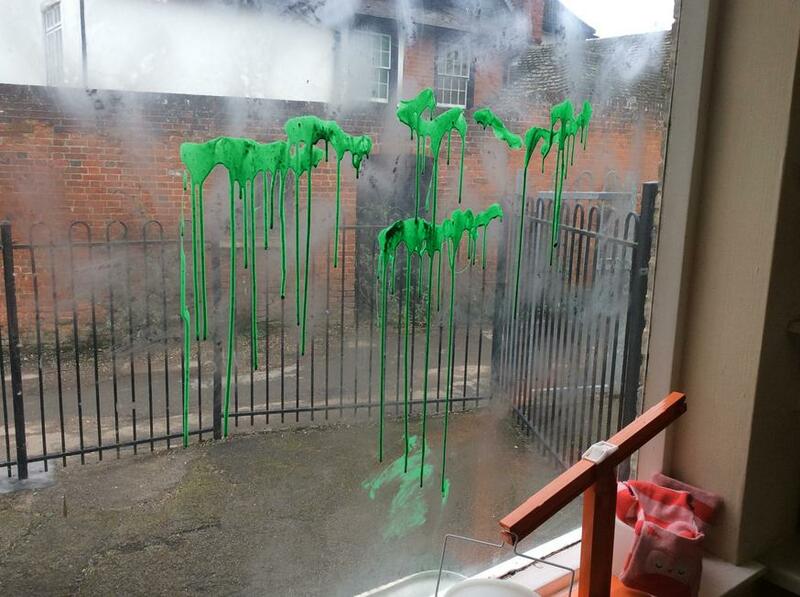 There was slime all over our tables and windows, mysterious coins left scattered around and tiny footprints dancing around the goo. 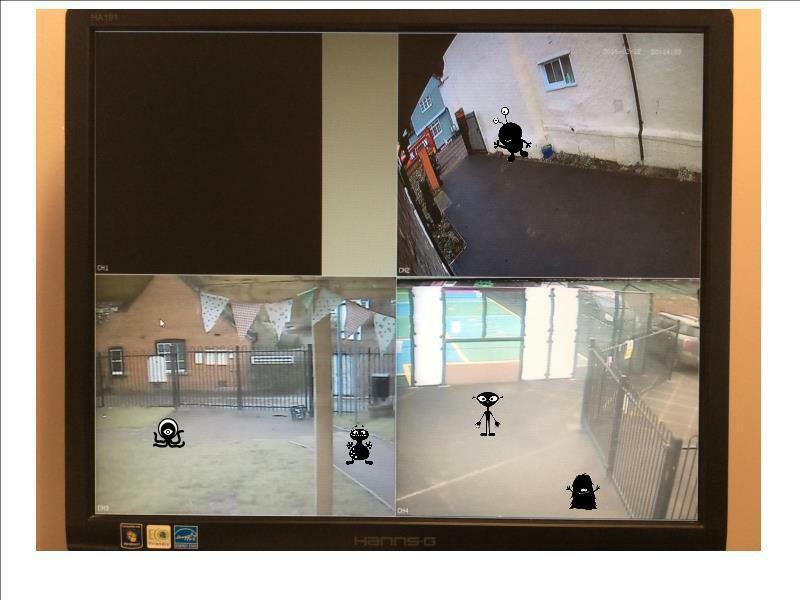 A quick check of the CCTV cameras confirmed it - the aliens had come! In order to expertly examine the alien currency, we thought we ought to brush up on our knowledge of British coins. We have been busy learning about what our coins look like and practicing using them in real situations. 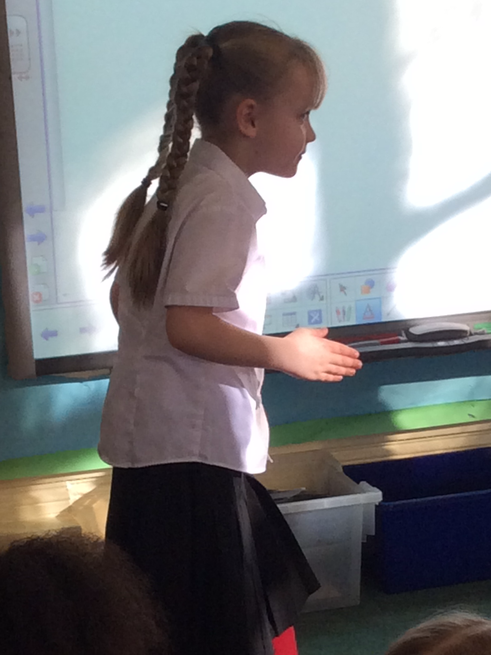 Miss Baber even set up a sweet shop in our classrooms! We enjoyed using our addition skills to buy as many yummy things as we could. 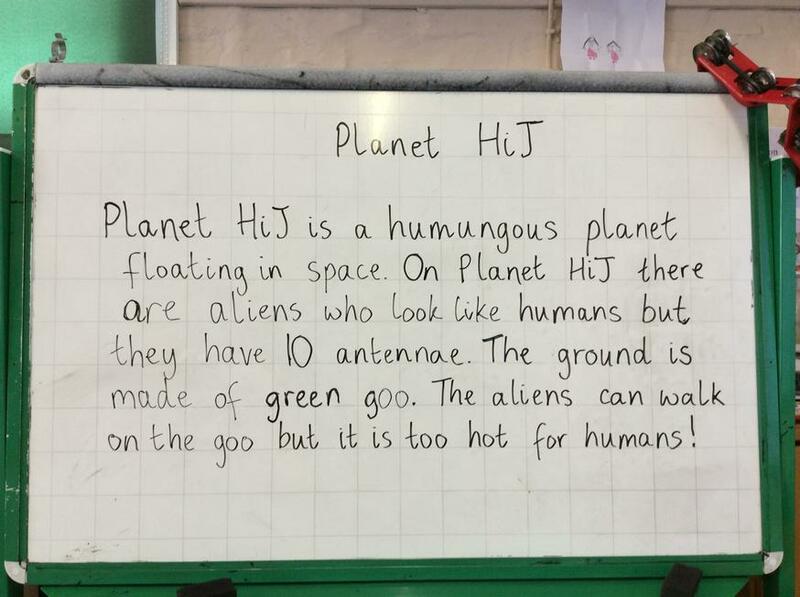 After all this learning, we had a question - why did the aliens leave? After reading Here Come the Aliens, by Colin McNaughton we think it may have been because of how scary we are! We thought about our scariest faces, you could even ask us to show you! 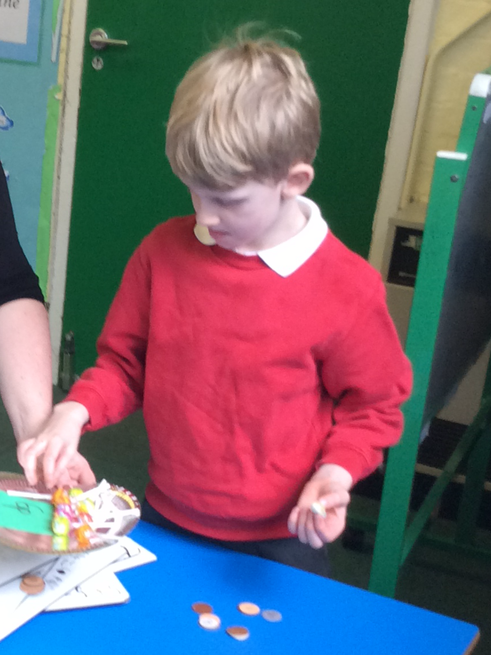 We have also been learning an oral story about a little boy who makes friends with the aliens and has a picnic on the moon. We spent some time thinking about what food we might bring to an alien picnic, and what we might talk about. 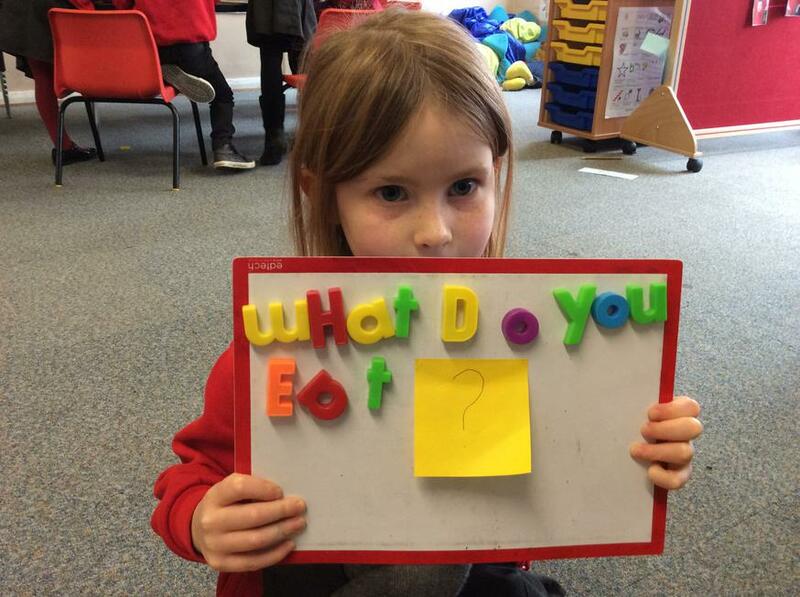 Have you got any ideas? 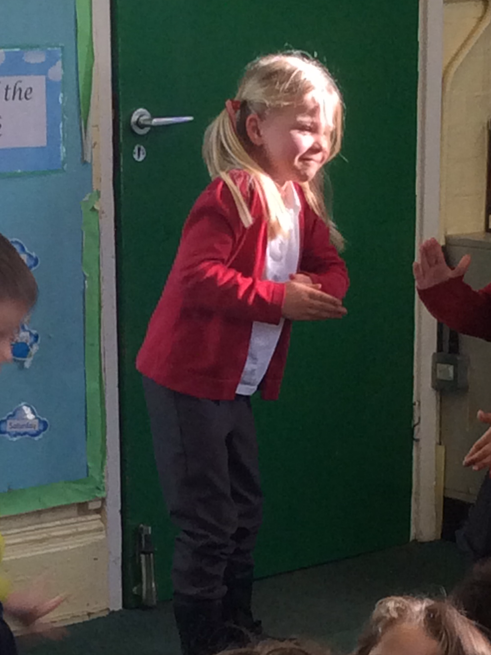 Yesterday we had a little alien disco in which we thought about how aliens might move. 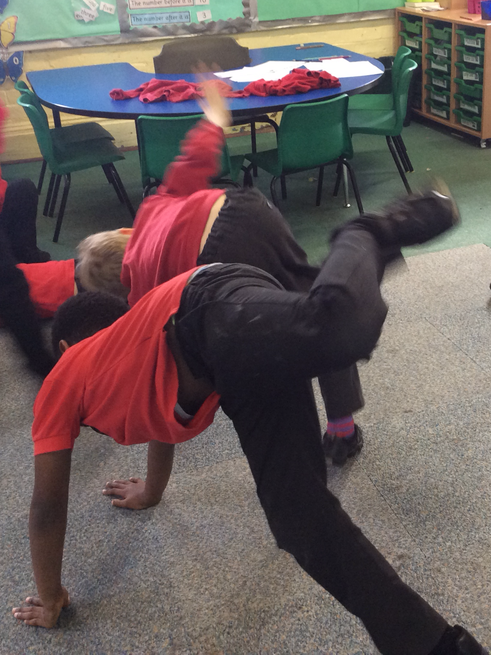 We imagined how we might eat breakfast, get dressed and even dance if we were aliens. Ask us for a demonstration if you dare!